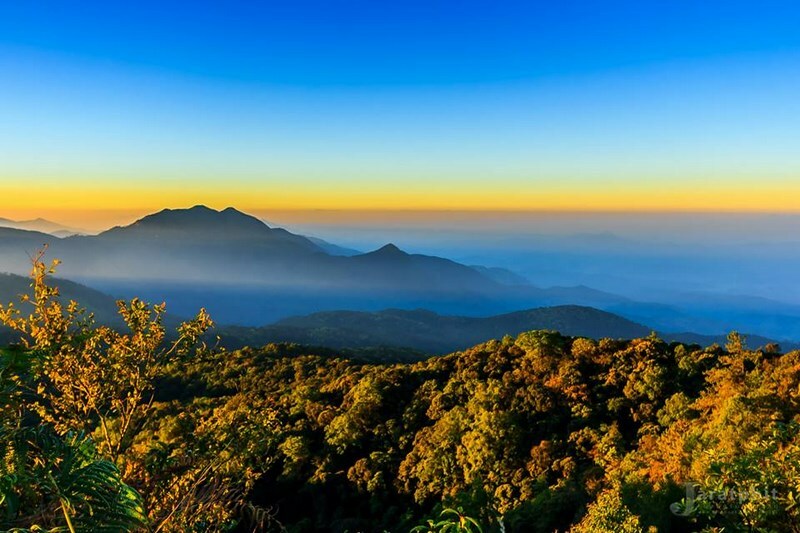 Doi Inthanon National Park is Thailand’s highest mountain, 2,599 metres above sea level. 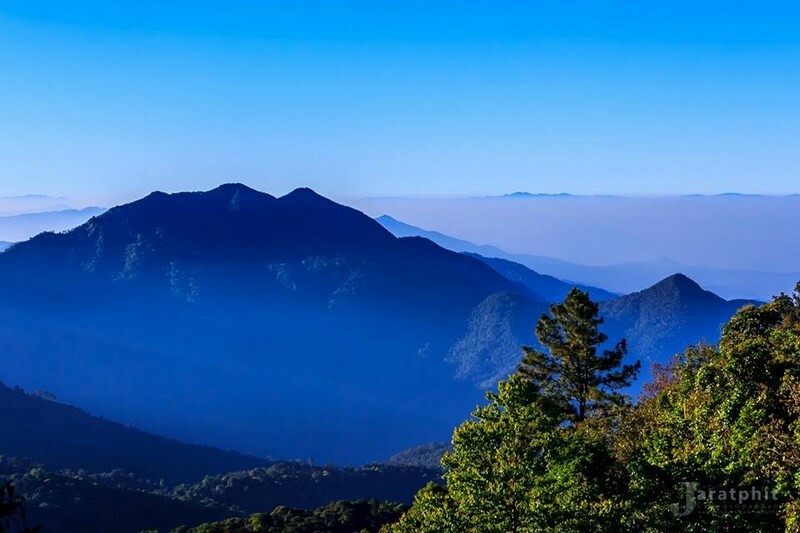 Doi Inthanon is a part of the Himalayas, which ranges across Nepal, Bhutan, Myanmar, and ends at Northern Thailand. 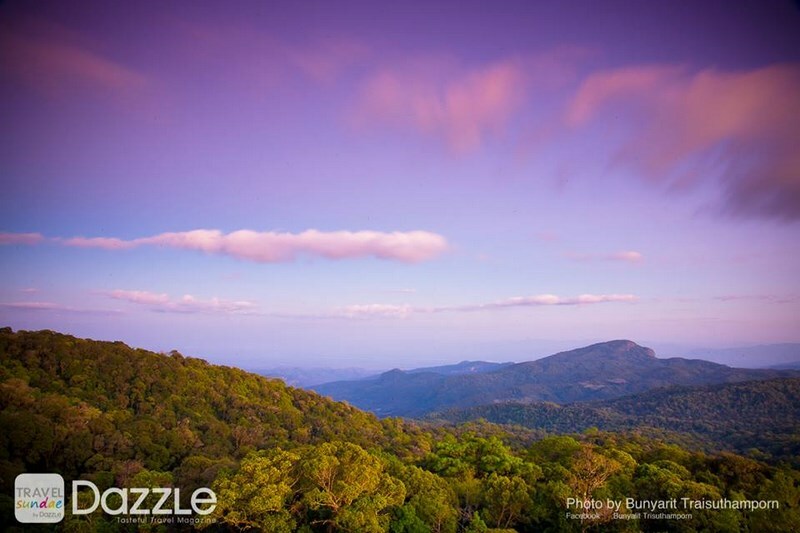 Complex mountain ranges and a mild climate characterise an area with a moist and dense summit forest. 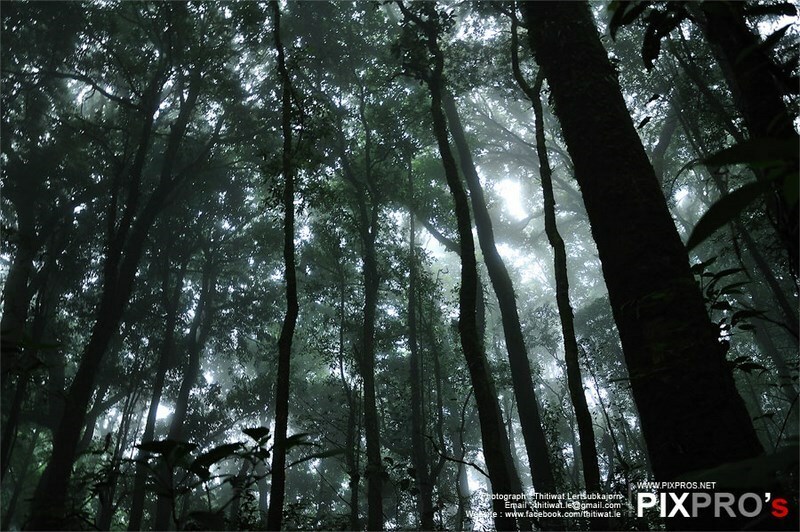 Doi Inthanon is very intersting for ornithologists. 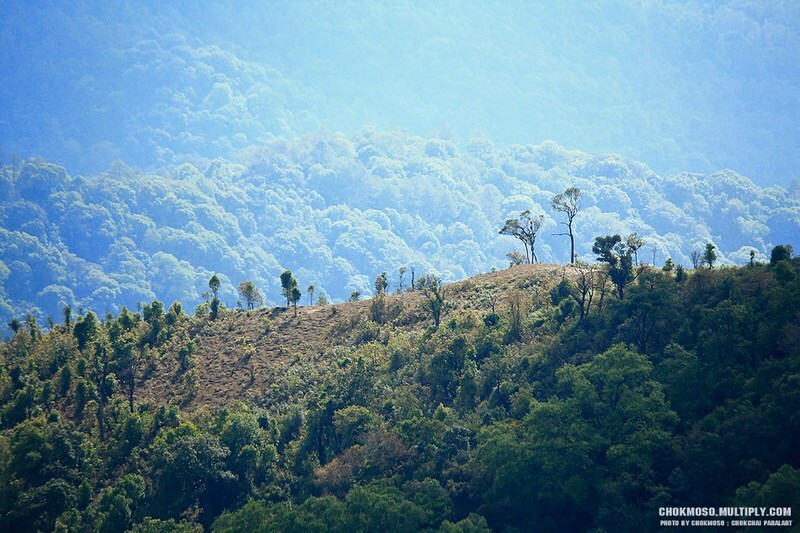 Summit forest is the source of important tributaries of the Mae Ping River. Meo and Karen hilltribes inhabit the park. 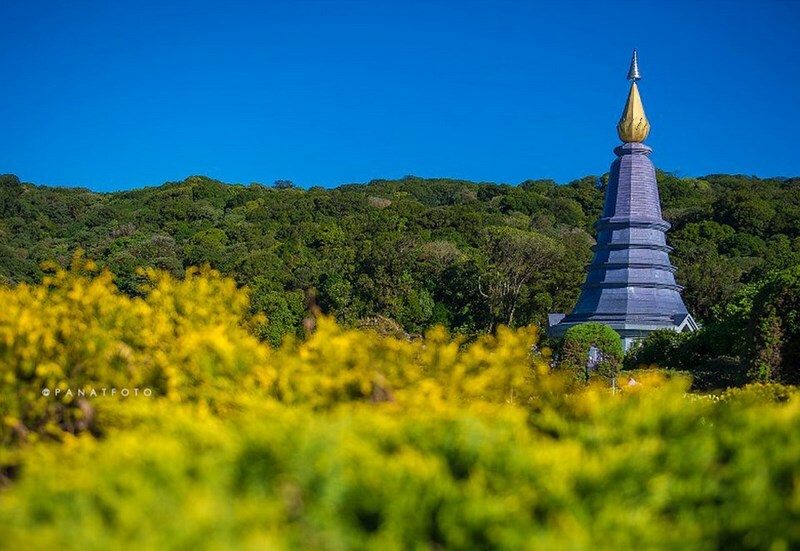 Visiting Doi Inthanon is possible throughout the year. The best period for viewing waterfalls is May through November. 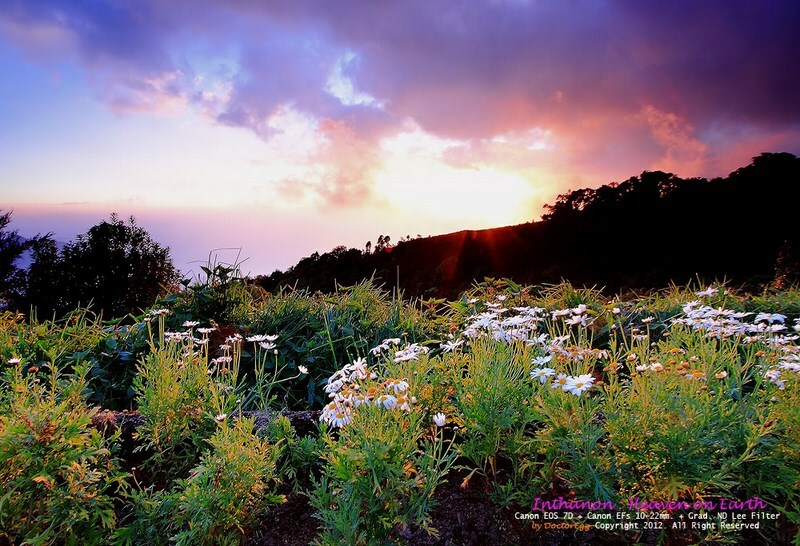 The best period for viewing wild flowers is December through February. The best period for ornithologists is November through March. 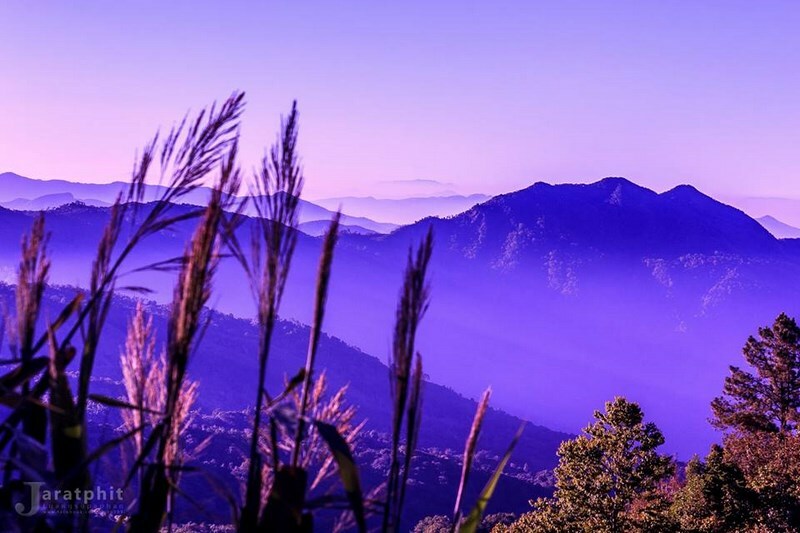 Getting there: Travel 58 kilometres west of Chiang Mai via Highway No. 108 to Chom Thong, then turn right into Highway No. 1009 and continue a further distance of 48 kilometres along Highway No. 1009 to the summit. 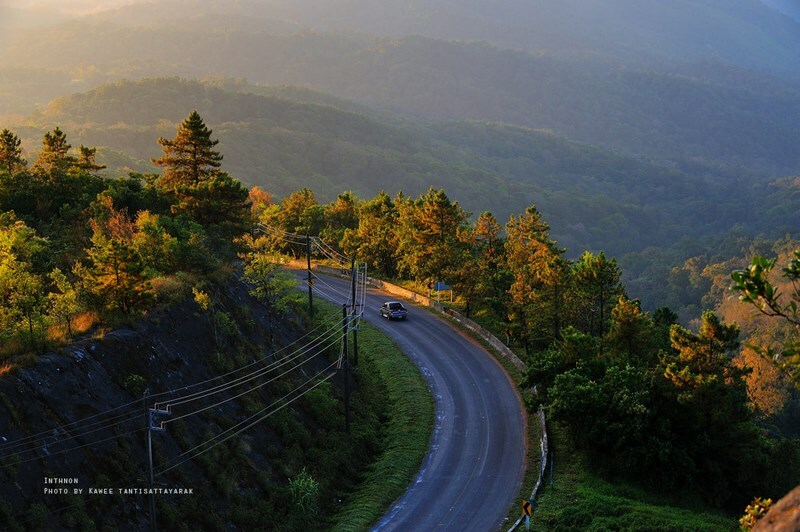 A good asphalt road takes visitors up but is rather steep, thus the vehicle must be in a good condition. Visitors could pay for the entrance fee at Km. 8. 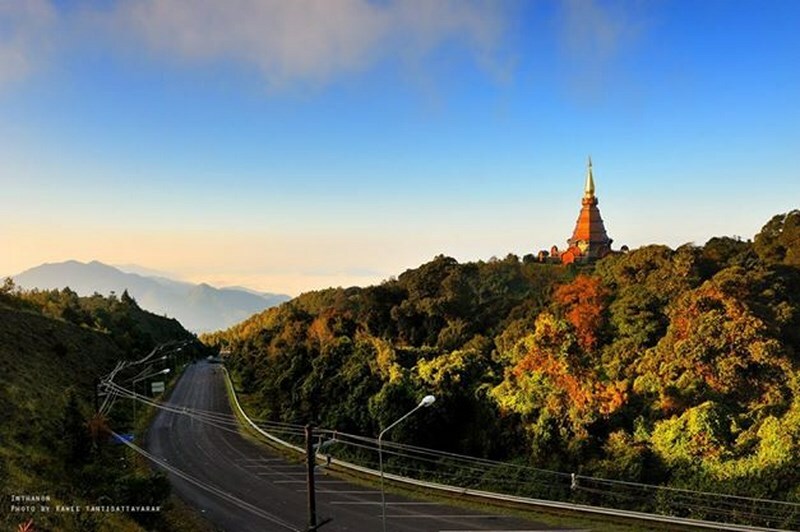 Doi Inthanon can be reached by a local truck (Song Thaeo) from Phra That Chom Thong or Mae Klang Waterfall. 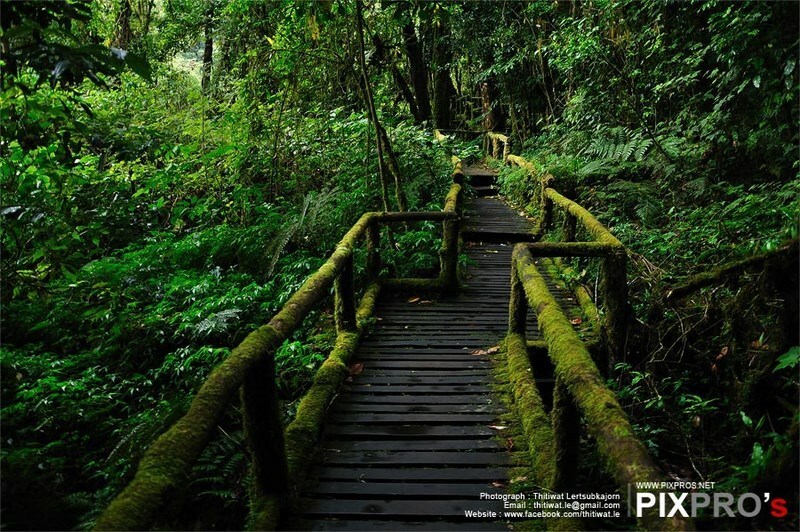 The Song Thaeo runs to Doi Inthanon National Park Office (Km. 31) and neighbouring villages. 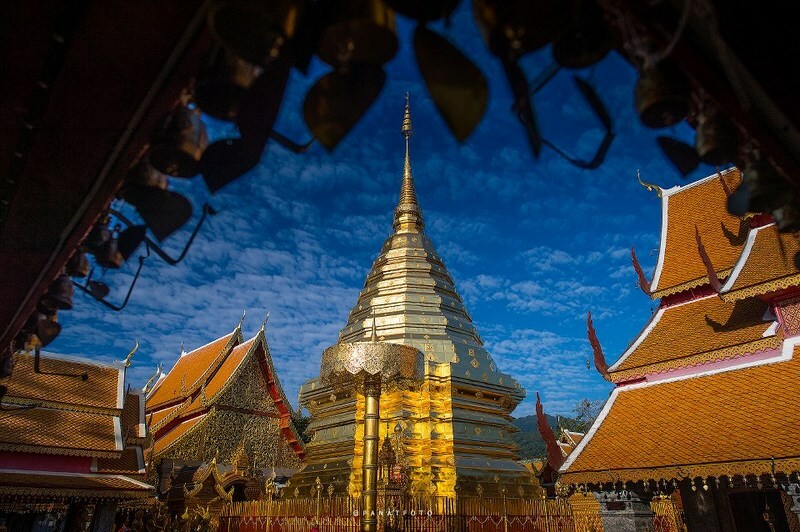 A chartered Song Thaeo costing around 800 baht can make stops at other attractions around the area. 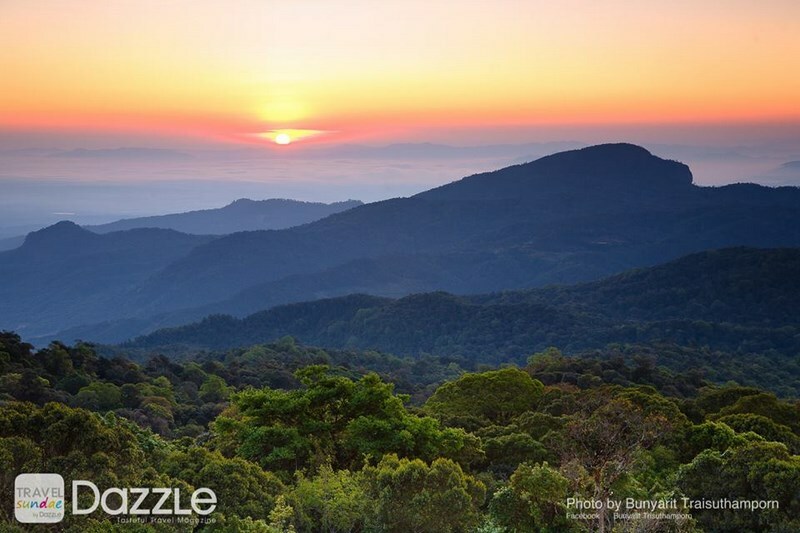 Namtok Mae Ya is one of the most beautiful cascades in Chiang Mai. Water flows from a 280-metre steep cliff onto different rock formations in a lower basin like drapes. 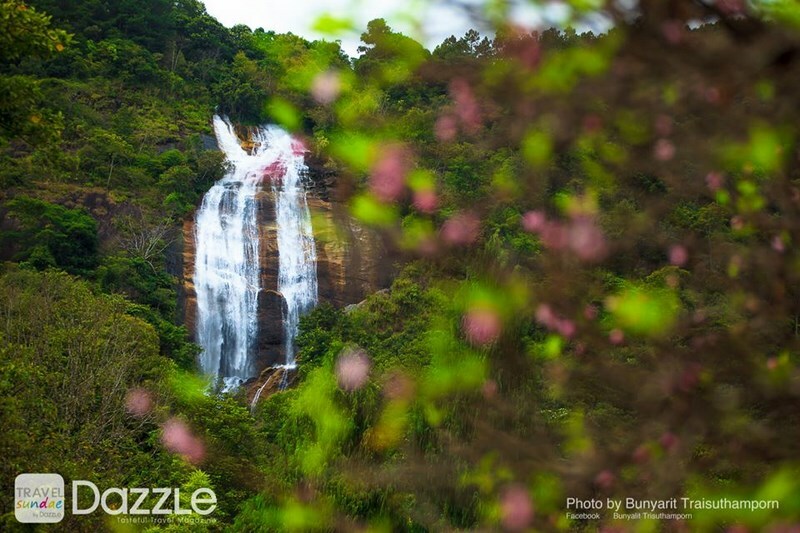 The well-managed waterfall is teeming with verdant forests and is best for recreation. 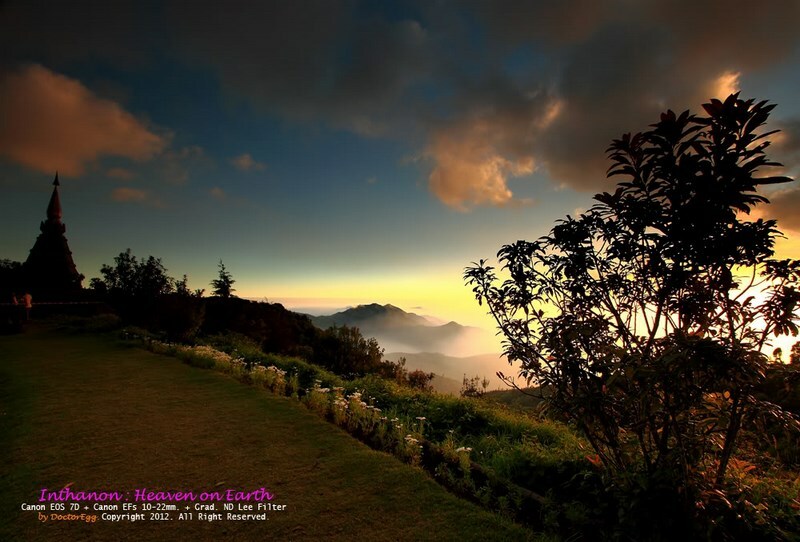 It is located 1 kilometre from Highway No. 1009 junction, turn left for 14 kilometres and then take a 200-metre walk. Tham Bori Chinda is a large cave located near Namtok Mae Klang at Km. 8.5 of Highway No. 1009. The road sign to Tham Bori Chinda will be seen at the junction on the right. The deep cave has stalactite and stalagmite formations, Buddha images and a rocky stream. The surface of the water glitters like diamonds flake when light reflects the stream. Sunlight in the cave allows visitors to see the entire cave. The Tourist Centre at Km. 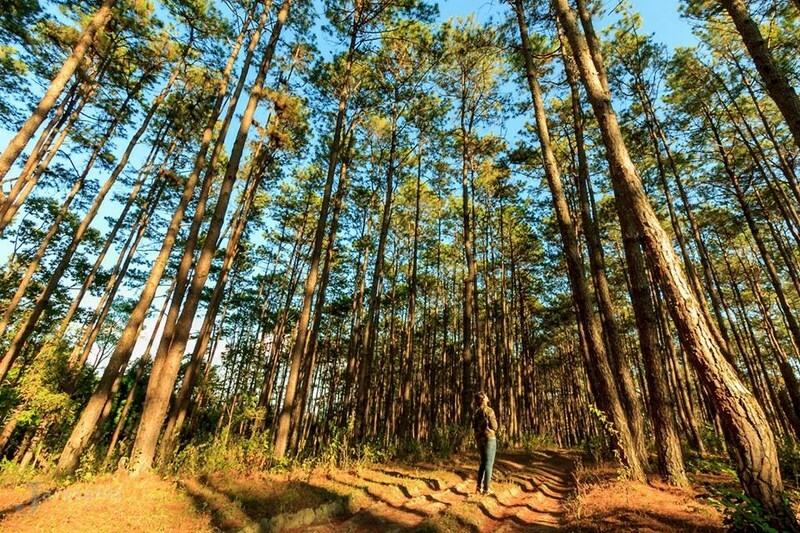 9 has exhibits on nature and animals that inhabit the area. 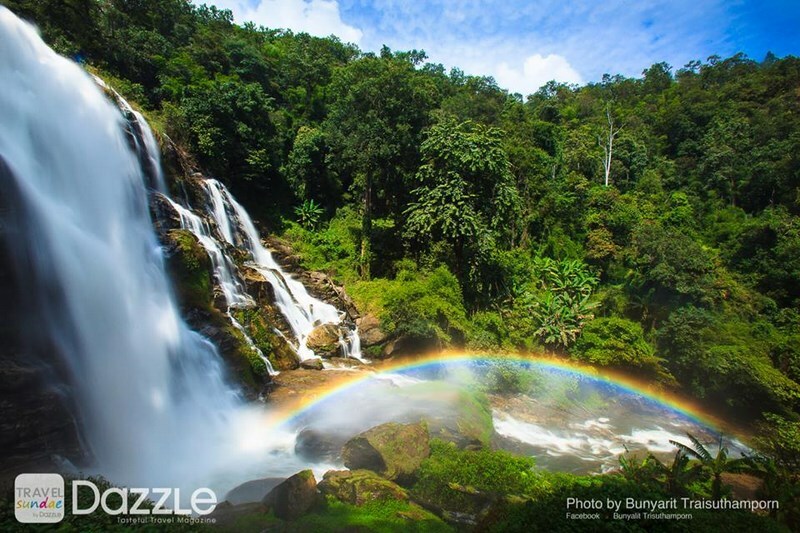 Namtok Wachirathan is a large waterfall which plummets over the edge of a high cliff into a deep pool below. When there is a large amount of water, there are large splashes in the basin, creating a cool and refreshing environment. 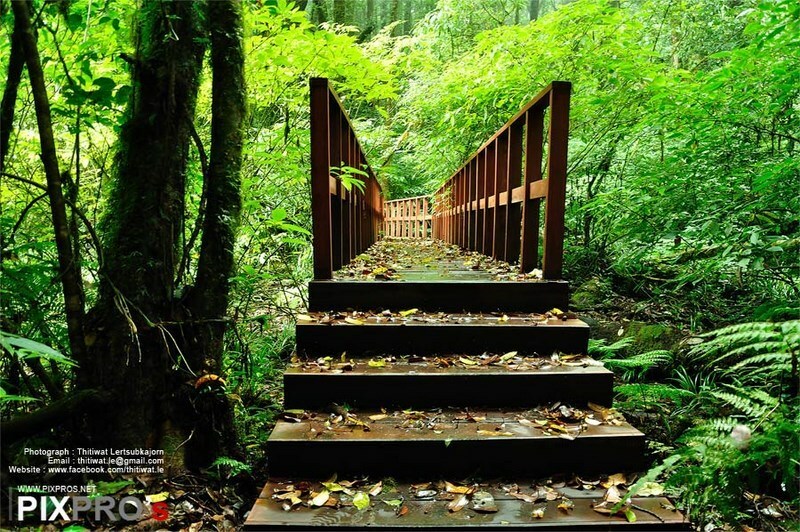 The delightful ambience can be felt by walking on a slippery bridge that leads to the waterfall. To get there, turn right off Highway No.1009 at Km. 21, then follow the signpost to the waterfall a further 350 metres on foot. At Km.20 a new road is built to reduce the walk to the waterfall. 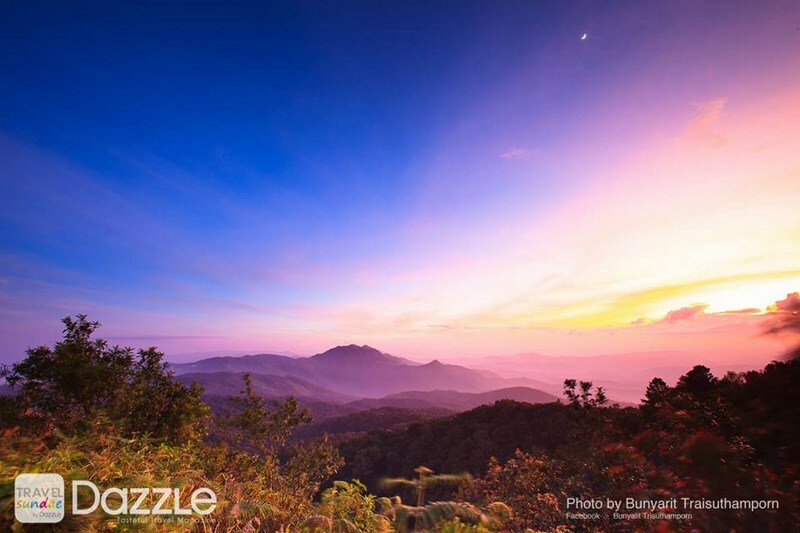 Namtok Siriphum is a splendid waterfall that falls from a steep cliff in two lines and can be seen en route to Doi Inthanon. The attractive waterfall is located at Km. 31 of Highway No. 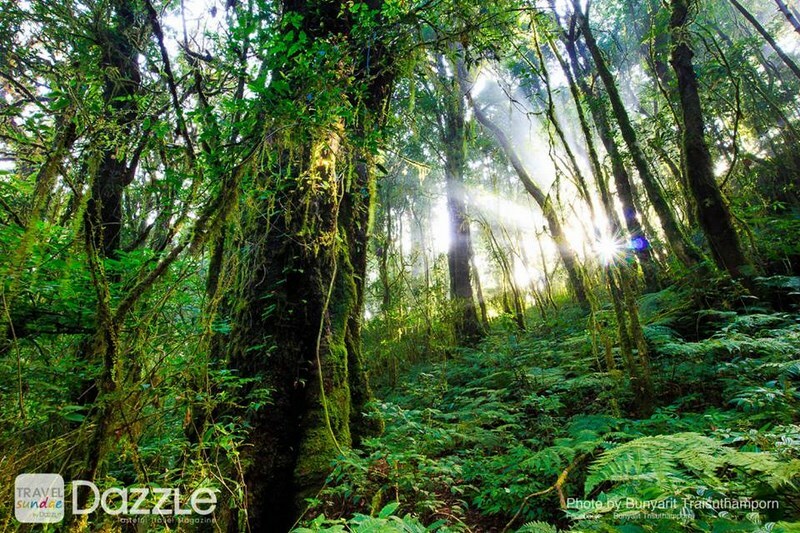 1009, take a right turn for 2 kilometres and is approachable only on foot from the base of the waterfall. Phra Mahathat Napha Methanidon and Phra Mahathat Naphaphon Phumisiri, twin pagodas located at Km. 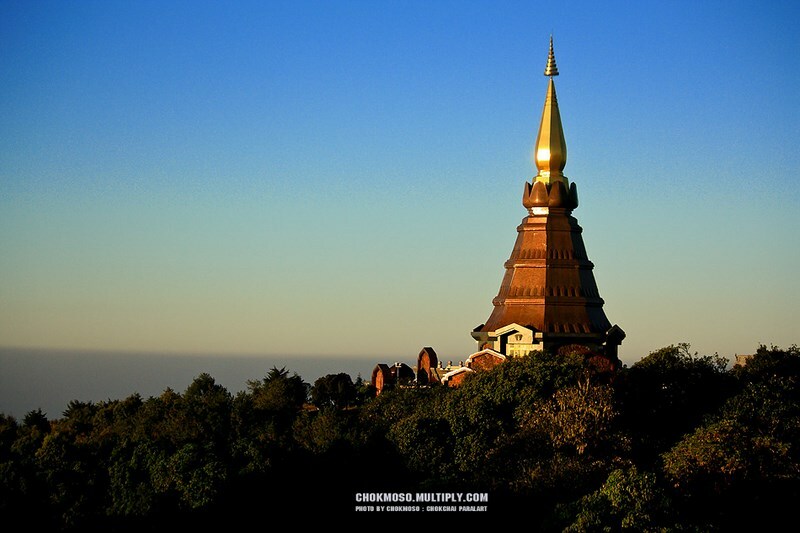 41.5, were built to commemorate the fifth cycle birthdays of King Bhumibol Adulyadej and Queen Sirikit. 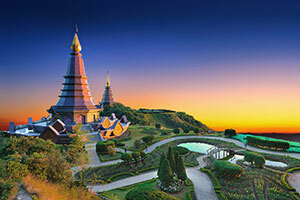 Both pagodas share the similar bases as well as a two-level walking path that surrounds them. 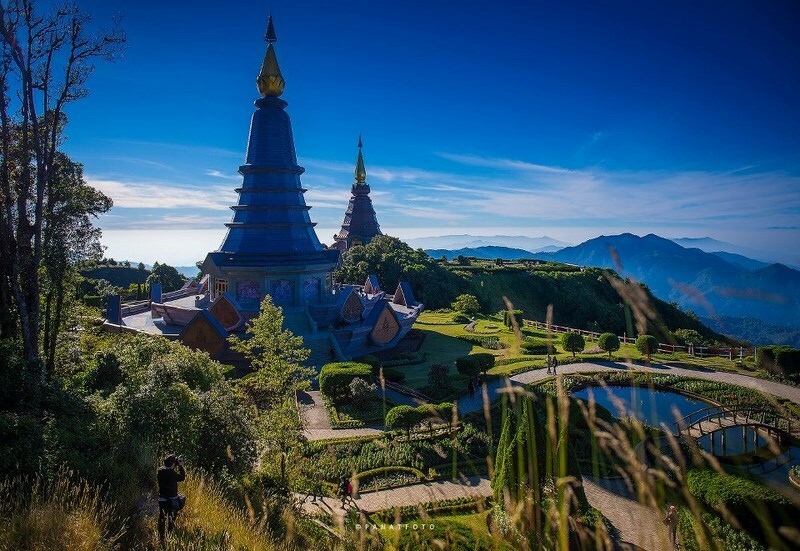 The pagodas enshrine Lord Buddha’s ashes and Buddha images, and overlook the magnificent scenery of Doi Inthanon. 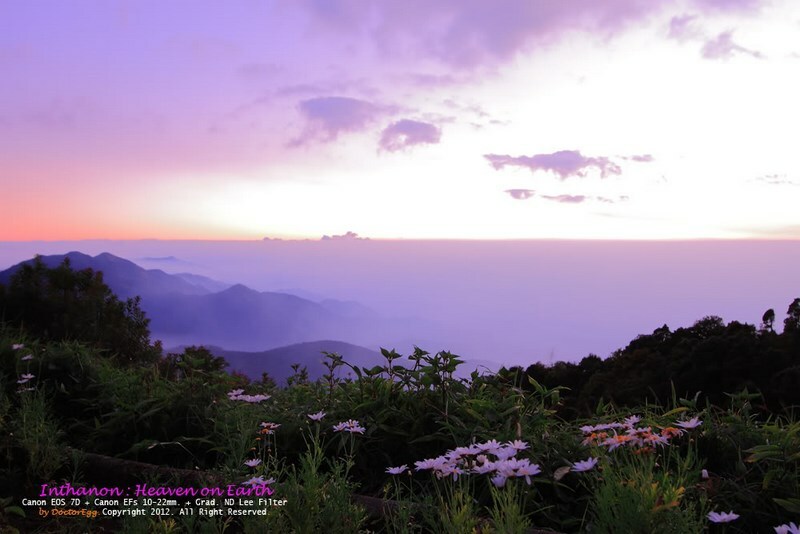 Doi Inthanon Peak has a cool climate all year round. The Air Force Radar Station and King Inthawichayanon’s stupa located on the mountaintop. King Inthawichayanon, the last king of Chiang Mai, was concerned about the importance of forests and wanted to preserve the forests for future generations. He was so familia with Doi Inthanon that he asked that part of his ashes be kept here. 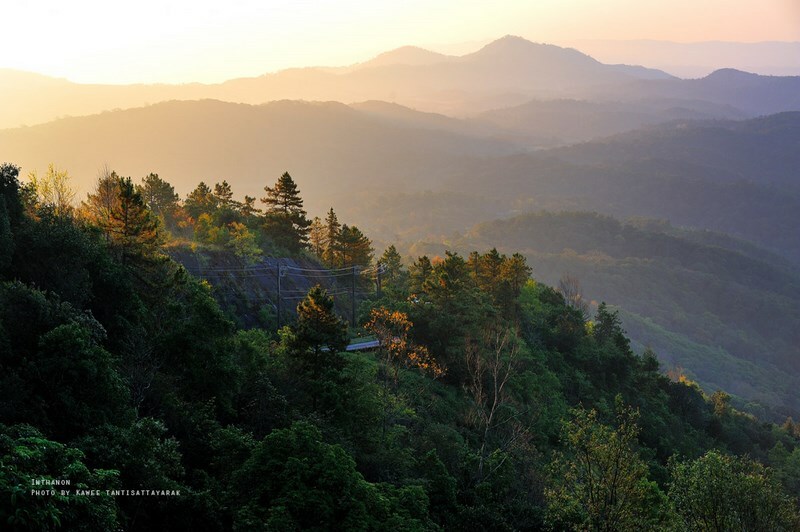 The Tourist Information Centre, near the top of Doi Inthanon, exhibits a chronological background of the mountain, including its geography, biology, forests, and animals. 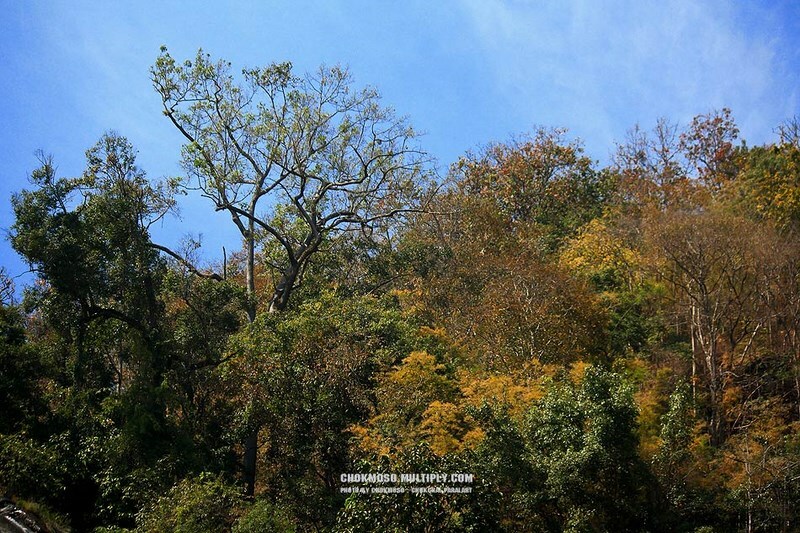 Namtok Mae Pan is the longest waterfall in Chiang Mai, which flows from a 100-metre cliff. Its charm can be enjoyed by standing some distance from the falls. From afar, the white water and the green forests around the falls make a beautiful picture. From Km. 38 of Highway No. 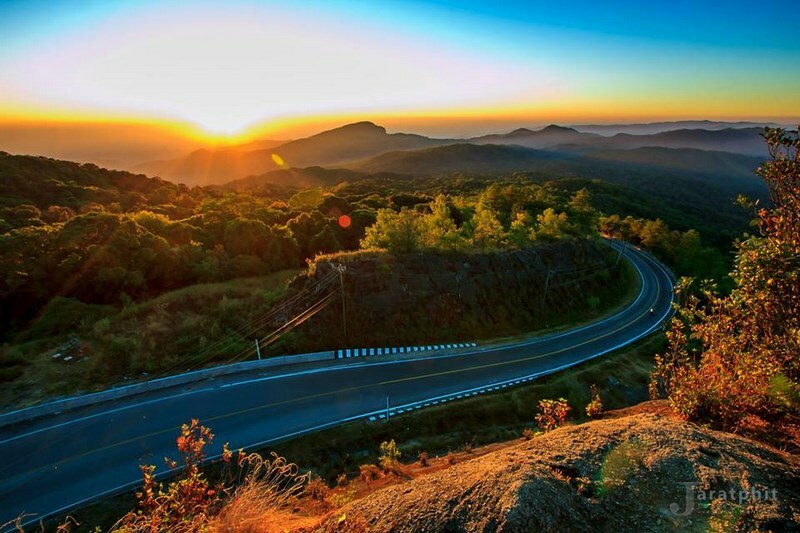 1009, drive along the Doi Inthanon-Mae Chaem road (Highway No. 1192) for 6 kilometres and a sign to the waterfall will be seen, then drive on an unpaved road for 9 kilometres. The lovely waterfall can be reached by a ten-minute walk from a parking lot. 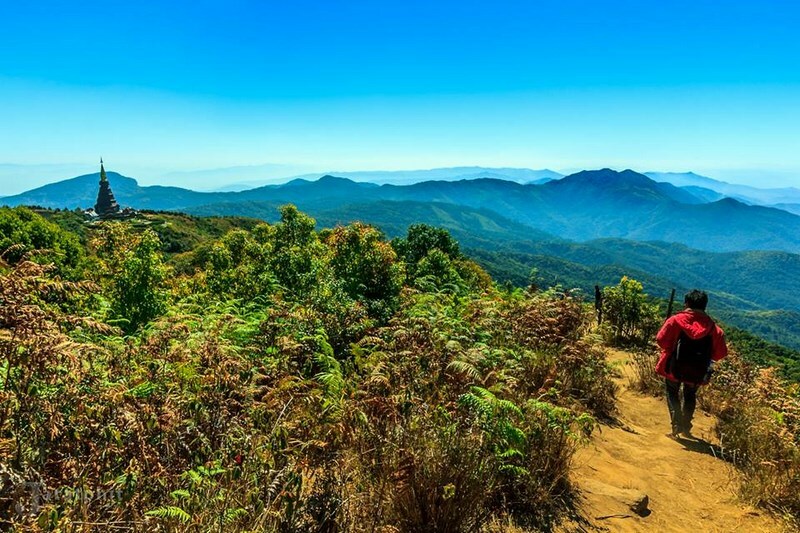 In the rainy season, the road to Namtok Mae Phan is in a poor condition; only a four-wheel vehicle could make the journey.